No matter how old your kids are, you can find ways to help them feel more involved in your home business. It’s great for their self confidence, and it can garner you a little extra time to work your business. A little imagination and preparation can help your kids feel like a part of your home business! I’m Tiffany, the office supply obsessed blogger behind Calyx and Corolla. Each month, Jenny graciously lets me take over The Melrose Family and share some organizational goodness with you! One of my favorite parts of working at home is working with my kids. I’ve tried to keep them involved in my home businesses for years. They’re gaining self confidence, extra spending cash, and valuable skills. And I’m getting a little extra help with my home business. 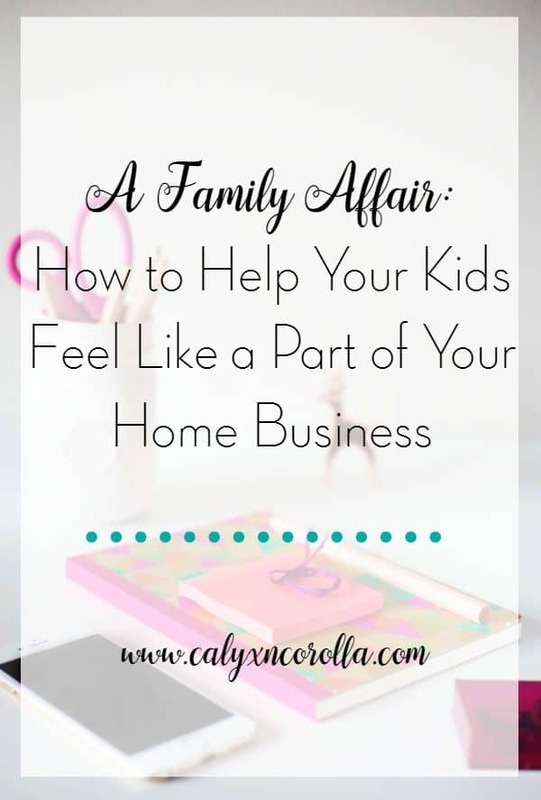 Let’s look at a few ways to help your kids feel like a part of your home business! They need your time and attention…. And so does your business. Creating a special place for your small children in your home office (or near it if you don’t have an actual room) can help your children feel like a part of your work time. And by saving special toys or activities for “office time,” you can carve out a little extra time for your business. I found it helpful to save more mindless work for mom/kid work time. That way I’m able to get a few things done while spending a little time with my kids. Working at home when your children are young is a challenge, but it brings myriad benefits, too! If you’re trying to stay sane while working at home, I share helpful tips in this post: 8 Tips for Staying Sane When Working at Home. When I was in elementary school one of my favorites things to do was play office. I’d set up a desk, design my checks, borrow my mom’s notary seal, and get to building my business. If your kids have a similar love of playing office, you can help them feel like an important part of your home business, boost their self confidence, and get a little extra help by saving age appropriate jobs for them. 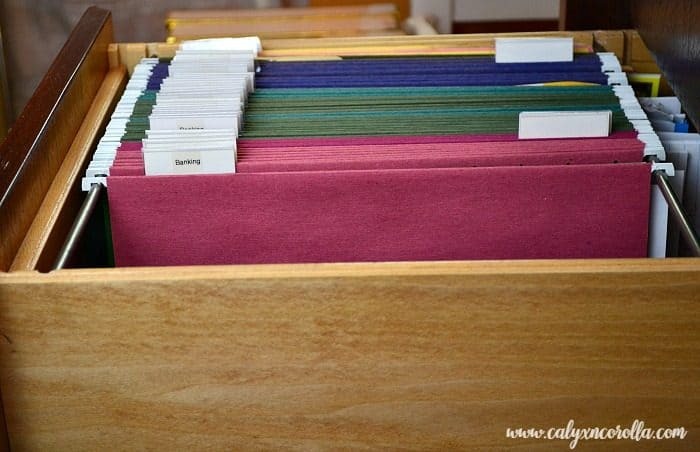 My kids used to love to help me with filing. Throughout my work day whenever I had an item that needed filing, I’d take a few seconds to write the file name at the top of the item before I put it in the “To File” box. Then my kids did the sorting and filing. This took a little extra time for me, but I saved at least that much by letting my kiddos do my filing. And they had a blast! 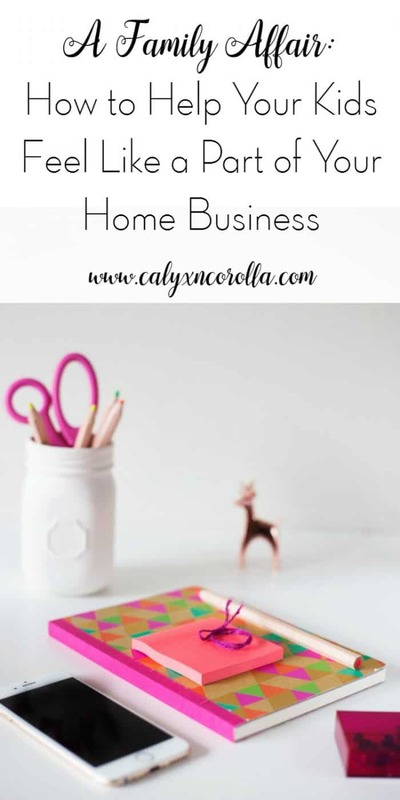 Having a small desk or table set up in your home office where your kids can do their homework or color or craft is another way to let them feel like a part of your home business. There are hundreds of printables for kids that you could put together as a work book especially for your kids to use during office time! Here’s a great example of a kids’ work space in a home office: Shared Home Office from the See Jane Work Blog. Another way I make the most of my time is by using my mobile office while I’m waiting to drive my kids from school and activities. Learn more about it and how to set one up for yourself in this post: Get More Done with a Mobile Office. My kids are now teenagers, and they help significantly with my home business. And they learn valuable skills and lessons in the process! There are a lot of options at this level and many of them are perfect for summer break. My son has his license, so he runs errands for me. He drops items at the post office, picks up my orders at the copy shop, picks up supplies I may need, etc. This summer was my busiest ever as an at-home business owner, and I was in need of a little help. So, I “hired” my kids. My son worked off the money he owes us for his car. My daughter (who is a social butterfly) made a little extra money for her social activities. I’ve hired my kids to compile social media metrics data, file papers, sort and purge and organize, scan documents, take over household duties if I’m on deadline, fill my Pinterest queue, schedule my social media posts, complete blog post research, and many more tasks that freed up time for me to get my pressing work completed. My kids learned valuable work skills, I got some help, and we felt more connected because we were working toward common goals. One day we worked together to finish up the day’s work so that we could go to the water park, another day we wanted to go hiking, and yet another we worked our behinds off so that we could leave early for our annual cabin trip. Working with your children is an amazing experience and a benefit of working at home! And it’s good for you and for your kids. And we end up with more quality family time because of it!